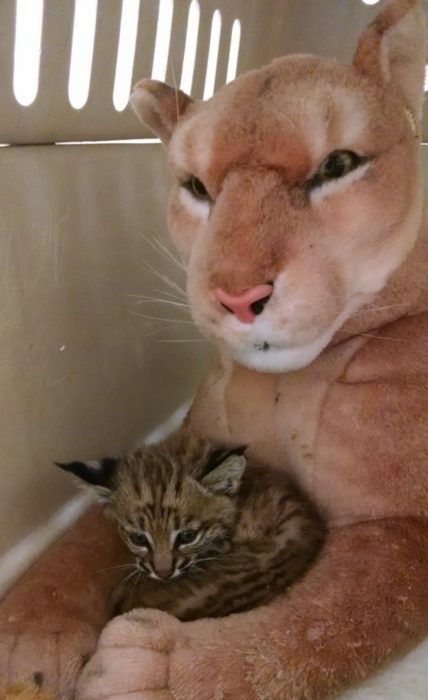 The Tucson Wildlife Center rescues and rehabilitates several bobcats every year. We have four adults that are permanent residents. Wilbur is our mascot and because of a medical condition cannot be released. Wilma is his companion. The remaining residents, Ruby and Bisbee are surrogate mothers to the kittens that arrive at the facility every year. When an adult bobcat is injured, we will provide it with the necessary emergency care and a quiet safe place to recover. It is always a good day to see one return to the wild. We usually assist one or two adults every year. 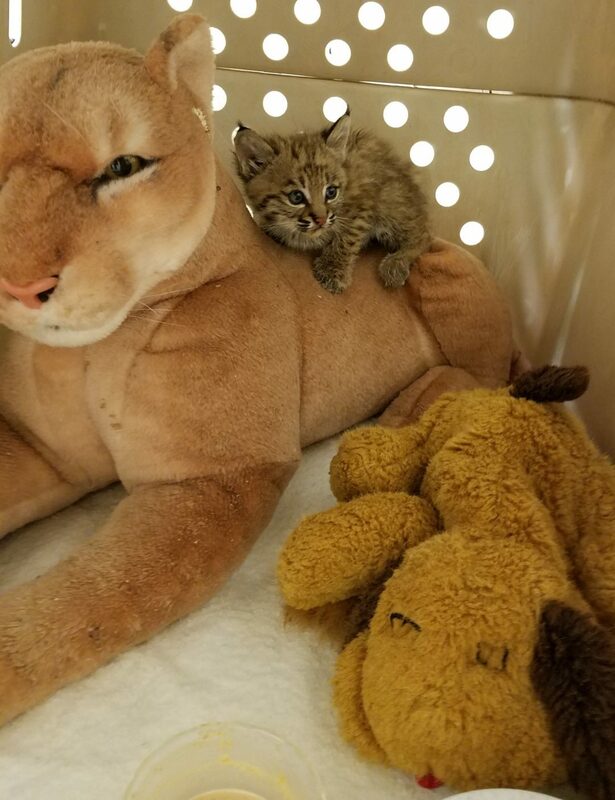 By far the majority of our bobcat rescues are kittens that have been orphaned for any number of reasons. Year to year we may have 2 or 3 or as many as 7 or 8 in a season. Some are so young they need to be bottle fed until they are old enough to ween. Others are big enough that they can be put with the surrogates soon after they arrive. Ruby and Bisbee teach them all things bobcat. We keep our presence in their lives to the least exposure possible. Word to the wise. 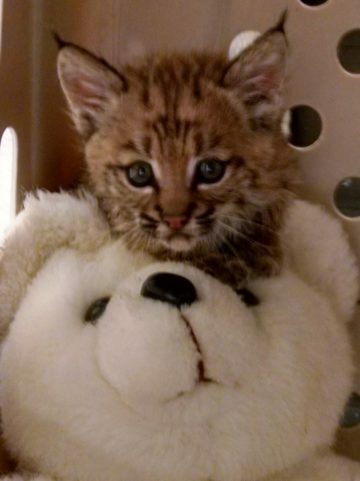 If you see a baby bobcat, leave it alone. The mother may be hunting or doing other bobcat stuff and be back soon. Observe from a distance and if you know or suspect the kitten is orphaned call a rehab center for instructions.